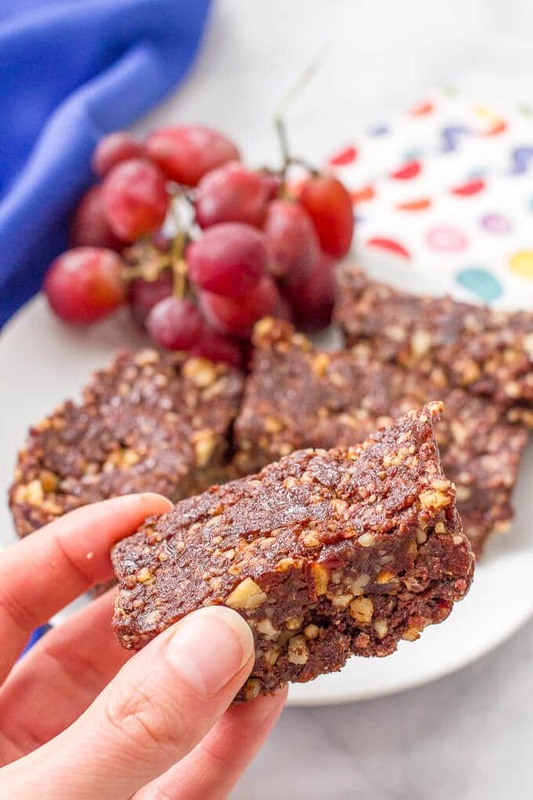 Raw date brownies require just 5 ingredients and 10 minutes for a healthier treat that’s perfect as an afternoon snack or on-the-go energy bar! Woah, it’s Thanksgiving week. It creeps up on me every year somehow and here we are. Eeeek! Then again, I did work my little tail off last week trying to get ahead a bit so I wouldn’t have so much “extra” to do this week. I plan to take a breath. Slow down. Open my eyes and look around. Enjoy more giggles and snuggles with the kids. Today’s Recipe Redux is all about healthier holiday desserts. Cause we’re coming into the season of cookie exchanges and parties and sugar overload. So I’m bringing these 5-ingredient raw date brownies that I can feel good about eating any time of day. Don’t get me wrong though. I indulge. I have an annual girls gingerbread house decorating party (for us grown-ups, not the kids 😜) and we usually have all kinds of goodies. I also try to go to my friend’s mother-daughter cookie exchange each year, J’s preschool has a holiday bake sale, my mom and I do our annual baking day to make treats before family comes to visit, and on and on. And with all that going on out there, I try to really limit the extras I have here in the house. 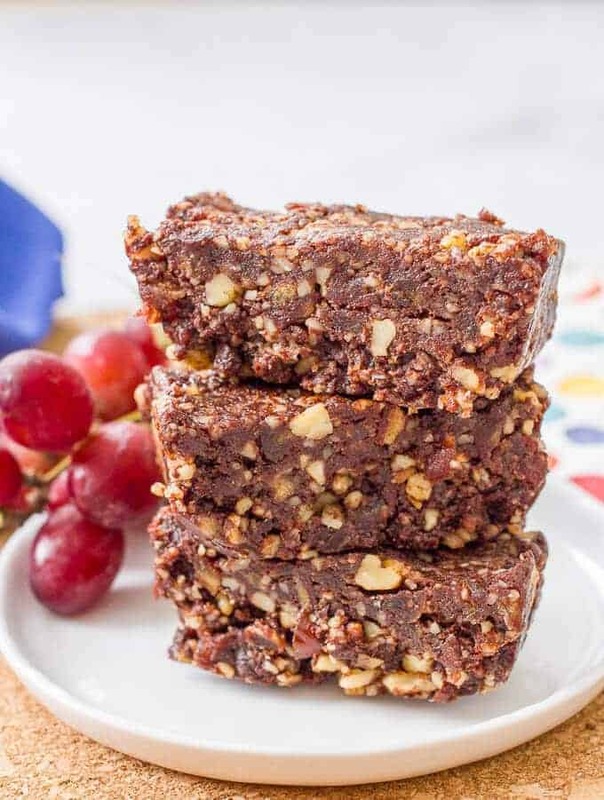 These wholesome raw date brownies are a great way to satisfy my insatiable sweet tooth and get my chocolate fix without going overboard during a time of year that’s always ripe with temptation. They’re kinda like homemade Lara bar brownies – soft, chewy, chocolate-filled bites you can sink your teeth into. And I particularly love that I can make such a small batch. 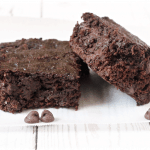 It’s perfect for all of us to have one big or a couple small brownies. And then they’re gone. They are also great packed for a school lunch or school snack and my husband loves to wrap one up to take to the office. You could throw one in your gym bag or purse for an on-the-go treat, too. Great for days when you’re running from one thing to the next. I use about a teaspoon of water for these, but it will depend on how dry your dates are. Add as needed. The mixture will be crumbly but should stick to itself when it’s ready if you press it between your fingers. I pack these into a small 3″ x 5.75” bread pan that’s lined with cling wrap to get them pressed together. 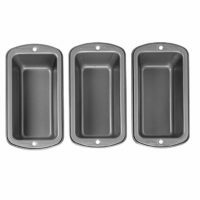 You could use just half of a side of a regular bread pan or another small container. 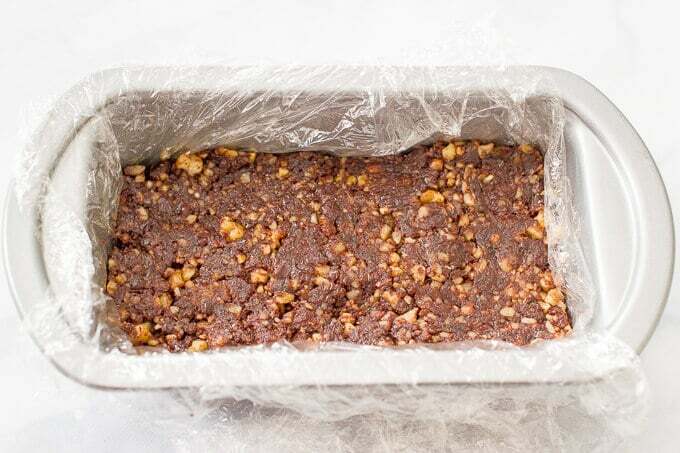 You can also double the recipe and make it in a regular bread pan or quadruple the recipe and use an 8×8 pan. These are ready to go immediately – they hold together well enough that you can slice it right away. However, if I’ve got the time, I like to stick them in the fridge to get them to firm up a bit more. We either make 4 large or 8 small brownie bites from this recipe. The big ones are good as an energy bar substitute while the small ones are great for a quick snack or school lunch extra. 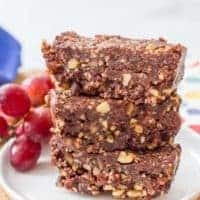 I hope you give these easy no-bake date brownies a try, whether it’s during the holiday season or when you just need a healthier snack. And check out all the other great Recipe Redux posts below! 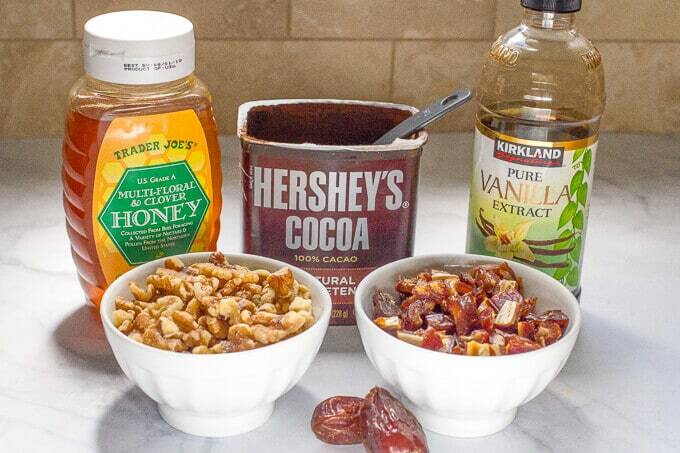 Raw date brownies require just 5 ingredients for a healthier snack/dessert! Line a small 3" x 5.75” bread pan with cling wrap and set aside. 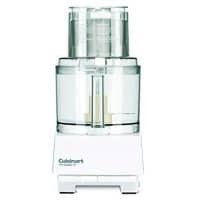 Place the walnuts in the food processor and pulse into finely ground. Add the remaining ingredients, without the water, and pulse until well combined. Add a splash of water, as needed, to get the mixture to come together. It will be crumbly but should stick to itself when you press it between your fingers. Slice and serve or refrigerate if you want to get them to firm up a bit more. I use about a teaspoon of water for these, but it will depend on how dry your dates are. Add as needed. 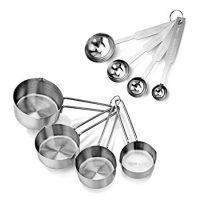 You can cut these to make 4 large or 8 small brownie bites. We can always use a healthy sweet chocolate fix! YUM!!! Even though boy is married to me and my cocoa allergy, he is no different from most people- a total choc-aholic! 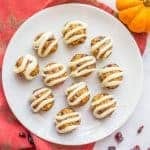 I love making him decadent treats, but I’m ALWAYS on the hunt for a treat that’s delicious, yet healthy and these totally fit these bill!! These raw brownies look fabulous, girl!! 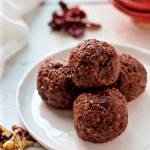 I love the walnuts, dates and honey in here and I know he will too!! I hope you guys have a beautiful Thanksgiving! Cheers! Don’t you love when that happens?! 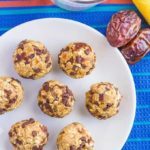 I hope you do try these – one of our favorite easy snack treats! 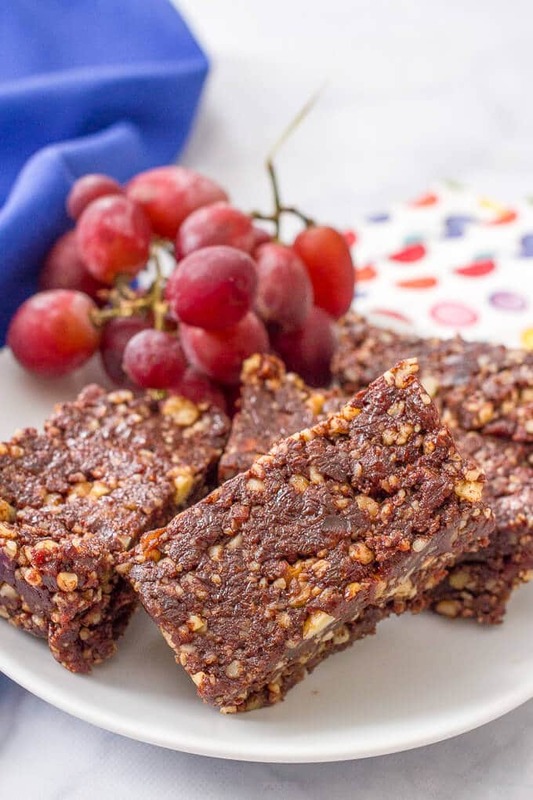 The raw brownies are such a great snackie when your craving chocolate! Love that they are so simple to make! I love how simple these are! My daughter loves chewy foods so I’ll have to try these with her. Oh I bet she’ll love these Bethany! Hope you give them a try! 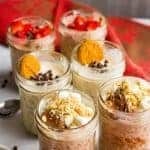 I love raw desserts like this! They’re so simple, and you get the bonus of knowing exactly what’s in it. Can’t wait to give it a shot! Yes! I completely agree Nicole! Any idea on the calorie count for these? Hi Kate! Sorry, the nutrition card was missing from this recipe, but I had the tech team behind it get that fixed so it’s back. There are 240 calories for one large bar. 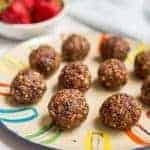 (If you want a smaller snack, you can cut those in half – I love doing that for just a quick energy bite.) Hope you try them!